Looking back at 2017’s top restaurant openings on campus and around D.C.
Colada Shop, a Cuban coffee shop located just off 14th Street, became a sunny oasis all year round after its opening in January 2017. The best new restaurants of the year popped up in nearly every neighborhood, bringing acclaimed chefs to local spots and long awaited casual joints to campus. If you still haven’t checked out the most talked about openings of 2017, here’s a list of the top places with options on campus and around the city. 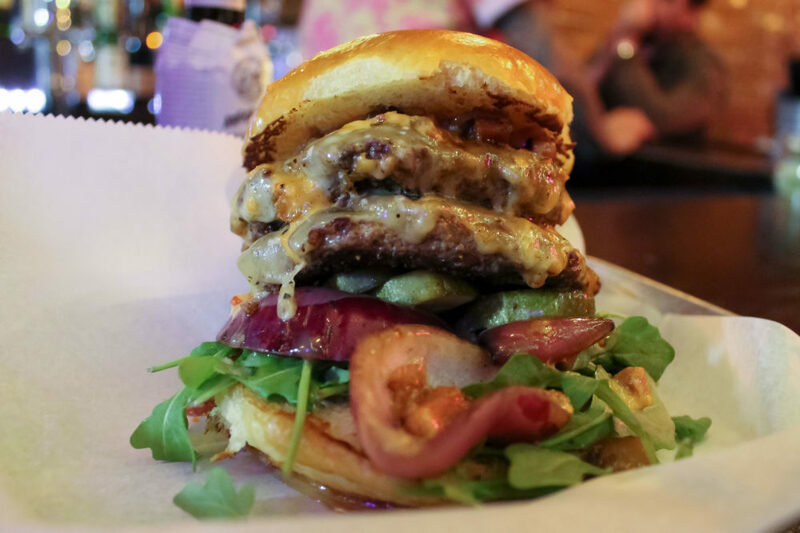 Lucky Buns, located at 2000 18th St. NW, opened in November – offering locals a menu of burgers decked out with unique toppings from around the world. The most recent restaurant opening to spark conversation in the District isn’t a single restaurant or even within city limits. Isabella Eatery – which opened in mid-December with only a few weeks left in 2017 – was the latest in a food hall trend that doesn’t look like it will stop any time soon. The 41,000 square foot space, located in the Tyson’s Corner Galleria, holds nine of chef Mike Isabella’s restaurants and is perfect for someone known to scroll through OpenTable for hours. But small spots made their mark too. 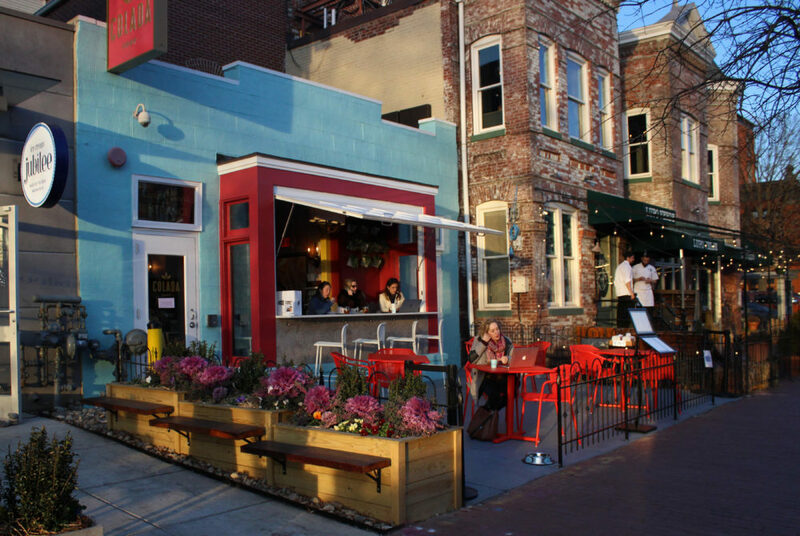 Colada Shop, a Cuban coffee shop located just off 14th Street, became a sunny oasis all year round after its opening in January 2017. The tiny shop hosts bright colors and friendly service but more importantly – a strong namesake colada coffee and savory Cuban snacks for any time of day. Just a few blocks north of Colada Shop, a fiery new restaurant with an emphasis on sauces and dips opened their doors in November. Maydan, located at 1346 Florida Ave. NW, offered customers savory Middle Eastern blend food with a built-in show as they cook meat dishes over a big open flame in the center of the restaurant. Main dishes left you feeling satisfied, but the classic hummus spreads and other condiments with a pinch of unexpected flavors really won the hearts of foodies in 2017. With an overpriced hipster coffee joint seemingly on every corner in some D.C. neighborhoods, the laid back vibe and exposed brick on the tiny interior of Lucky Buns may have been off putting before it opened. But when the late night spot debuted in November, worldly burgers piled high with deluxe toppings and starchy fries, called chips, became an instant hit causing an hour plus wait for a tiny table most nights of the week. 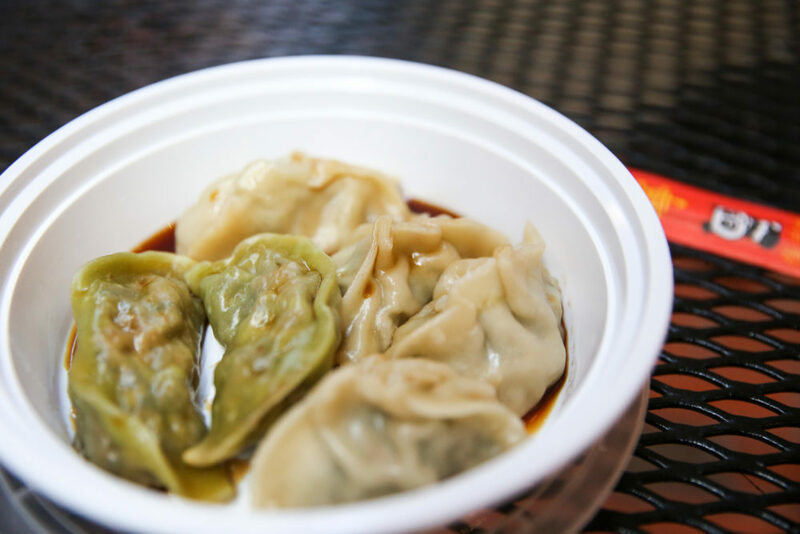 Laoban Dumplings, a dumpling shop that started popping-up in different locations earlier this year, opened a small storefront in Foggy Bottom at the end of 2017. It was a good year for on-campus dining, as restaurants ranging from fast casual to fine dining settled into Foggy Bottom locations. The beginning of the year had students wondering when the dining vendors in District House would finally open after a semester of delays, but by the end of March students had access to all six vendors. Other quick picks came to campus in 2017 like Laoban Dumplings’ spot in The Shops at 2000 Penn and Teashi offering asian rice bowls and bubble tea in the basement of Shenkman Hall. For times when you need more than a quick grab-and-go meal, students got the second full service restaurant on campus when Bindaas opened in October. Earlier in the year, Hive Bar started serving up cocktails conveniently on F Street and &pizza was dishing out personal pies in Hotel Hive. Now, as the new year rolls around students anxiously await openings from Panera Bread in the Marvin Center, slated to open in March, and Duke’s Grocery, which will take over a spot in The Shops at 2000 Penn in 2018.